I have to shout out any time a local store starts a book club and that’s exactly what JennyBec’s, the ultimate children’s luxury store in Los Angeles, has done. With the recent launch of “JennyBec’s Book Club” (JBBC), it’s clear that founder and owner, Jenny Rebecca Mullennix (her nickname is JennyBec), is committed to offering her clientele a well-rounded, meaningful shopping experience. In business since 2004, and located in the Brentwood area of Los Angeles at 11710 San Vicente Blvd., JennyBec’s boutique will help nurture your child’s development; enrich his creativity; and nourish his mind. It’s also THE place to find hand selected quality toys, games, music, and home furnishings. I interviewed JennyBec to find out more about JBBC. Q. You have designed the “JennyBec’s Book Club” (JBBC) to instill a long-lasting and valuable passion for reading within children. 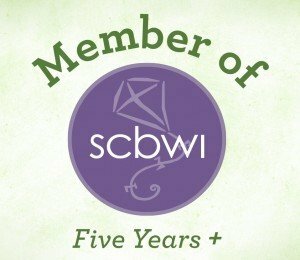 How exactly will your book club be different from others available? A. Parents can trust that the books I choose are educational and appropriate for their children. I choose books with excellent stories and beautiful illustrations – not just books that are currently popular. 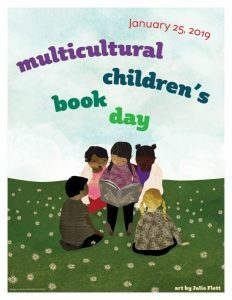 We will also host a read-aloud of the featured book on the second Saturday of each month. Q. Will you have guest authors coming by for readings and book signings? A. Not as of now. It is very difficult to convince authors to come in for signings since they usually don’t live in the area, but we are working on it! Q. What age group will the JBBC cater to? A. The books I choose will appeal to children ranging from 3 to 8 years old. Q. JennyBec’s will donate a copy of each month’s book to the Westside Children’s Center, a non-profit agency that supports underprivileged children and works toward helping them thrive in stable homes and safe communities. 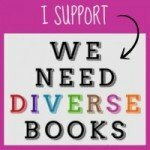 Can customers also buy books at your shop to donate to WCC? A. Yes! We will even apply a 10% discount for any book that a customer purchases and leaves at the store to be donated, even if it is not the featured as a Book of the Month. Q. What were your favorite books as a child and what are your current faves? A. When I was a younger, I loved Mrs. Frisby and the Rats of Nimh, Roll of Thunder Hear My Cry, and Mike Mulligan and the Steam Shovel. Some of my new favorites are Violet the Pilot, Library Lion, and The Umbrella Queen. Q. If you could be any character from a children’s book, who would it be and why? Young Violet is a most unusual girl, a mechanical genius. Just eight years old, she has already built a flying machine and many other amazing creations. The cover displays Violet in a jalopy-like flying machine, blowing bubble-gum bubbles as her dog Orville peers apprehensively over the side. The end pages, on the other hand, present a crisply drawn blueprint for her Hornet plane. Double page scenes created with watercolor and acrylic paints, colored pencil, and Photoshop show her ship-shape house and her creative experiences in the junkyard. Violet is charming and fearless; her Hornet is a delightfully imaginative .